School is starting back and college football is right around the corner. This tells me it is the best time of the year to start renovating, overseeding or establishing new cool-season turfgrass areas. But before you do that, you might have some unwanted weeds to get rid of. 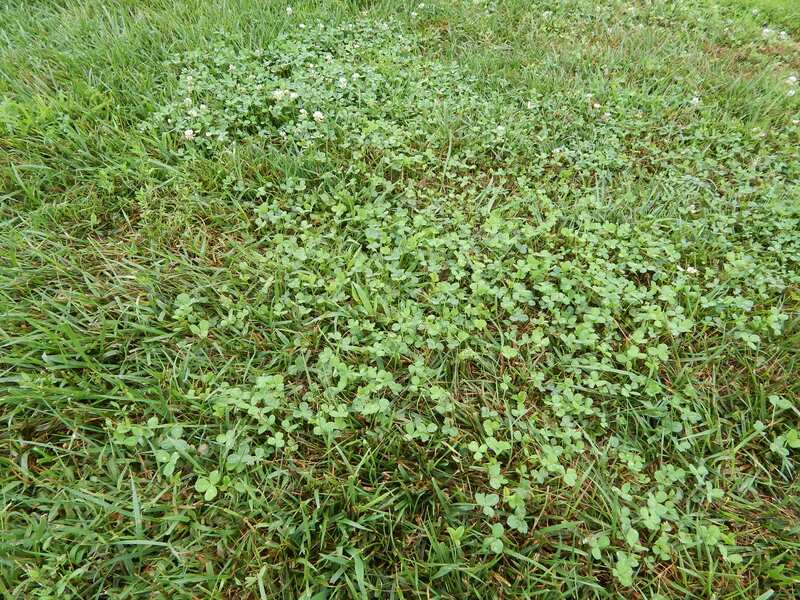 White clover is one of the most common weeds found in cool-season turfgrass. It can grow in a wide range of environmental conditions and can tolerate many of our cultural practices. It can also spread by seeds and by stolons. 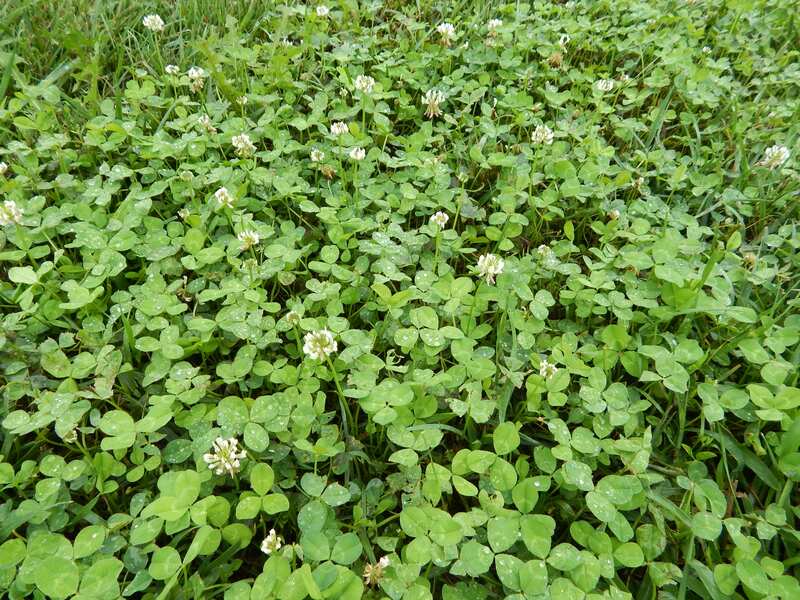 White clover is a perennial broadleaf weed that has trifoliate leaves that may or may not have a wedged-shaped mark. Although it is called white clover the flowers are white but may turn pink as they age. Because white clover can fix its own nitrogen some see it as an important species to add beneficial soil nitrogen. 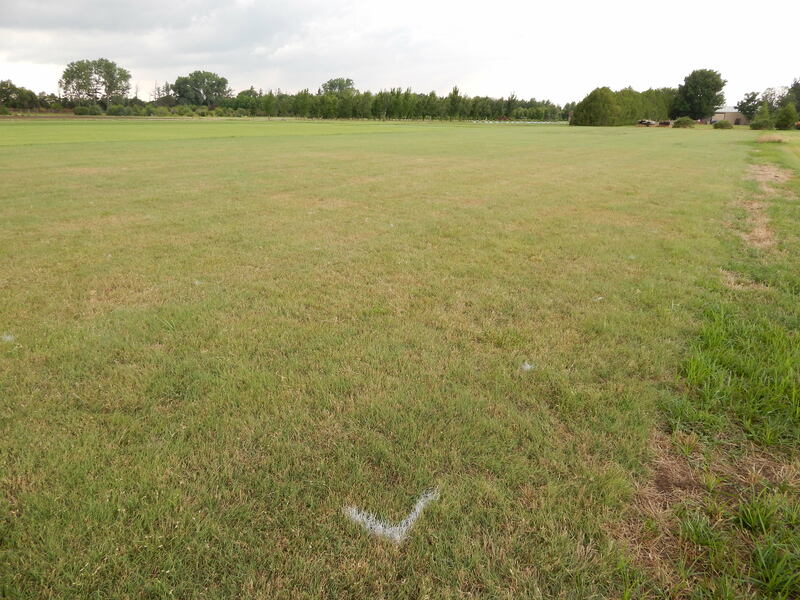 There had been some work done to explore using both clover and turfgrass in a mixture in their lawns. Others may consider it as a weed. If you consider it a weed, fall is a great time to try and control it. But did you know 2,4-D, glyphosate and sulfentrazone do not control white clover? For best control herbicides that contain clopyralid, dicamba, fluroxypyr, florasulam, metsulfruon, and/or quinclorac (also controls crabgrass) provide the best control when applied in the fall. 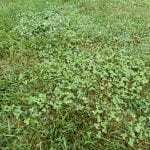 Always remember a healthy turfgrass stand through proper maintenance is the best weed control and can help minimize clover in you turfgrass. As I talk to turfgrass professionals across the state I hear that some are getting plenty of rain while others are getting none. 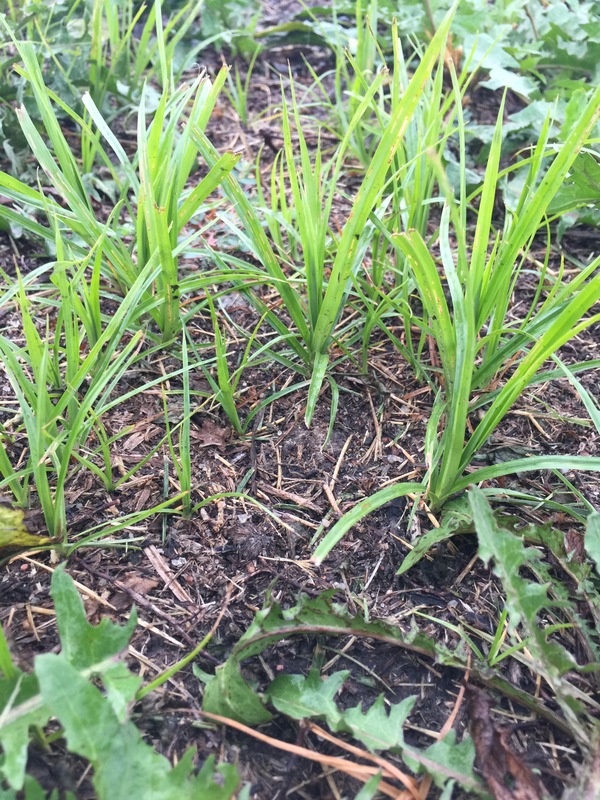 This time of the year we think that if we are getting some precipitation we will have yellow nutsedge popping up everywhere. Well that is not always true. 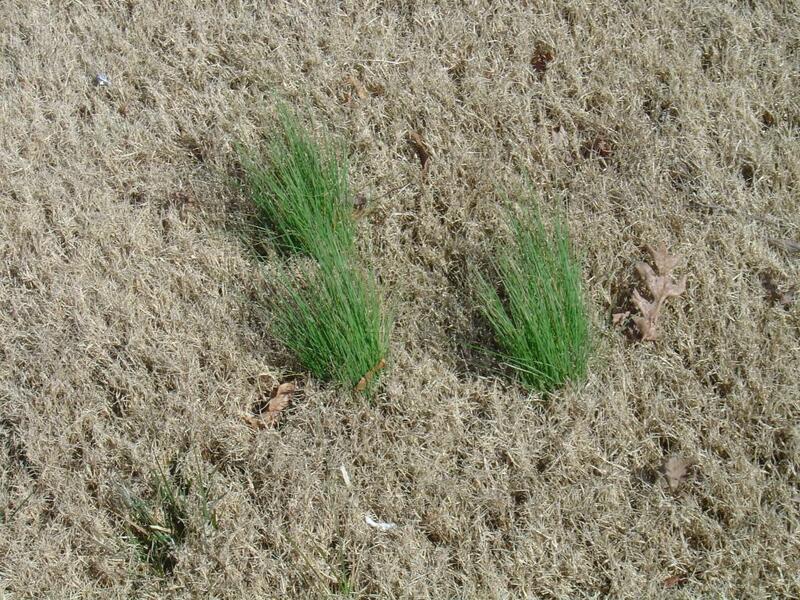 Yellow nutsedge does favor moist soils but it can also grow in well-drained sites. To control yellow nutsedge, if you can get applications out before tuber production then you will see increased control. But beware, yellow nutsedge will continue to grow as long as the environment is favorable for growth, so more than one application maybe necessary. If using a herbicide application timing is critical. During mid summer yellow nutsedge starts making tubers and if you apply herbicides before tuber production you will get better control. If you wait until the yellow nutsedge is big and starting to make tubers then you will be playing catch-up all year. So sooner is better. Don’t wait for it to get too big. There are many different products out there that contain these active ingredients so just make sure you have an active ingredient that has yellow nutsedge control! 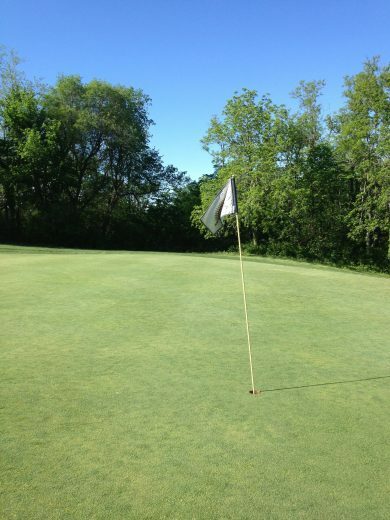 Also make sure you check for turfgrass tolerances. Garlic has a very distinct and pungent smell, stinks… don’t it! But did you know there are benefits to eating garlic? It is highly nutritious but has very few low calories, it can help combat sickness, it can reduce blood pressure, and more. Around Manhattan I have been seeing a lot of wild garlic in lawns. Now don’t go out and eat that wild garlic. We are now talking about the turfgrass weed wild garlic and not the garlic you eat. 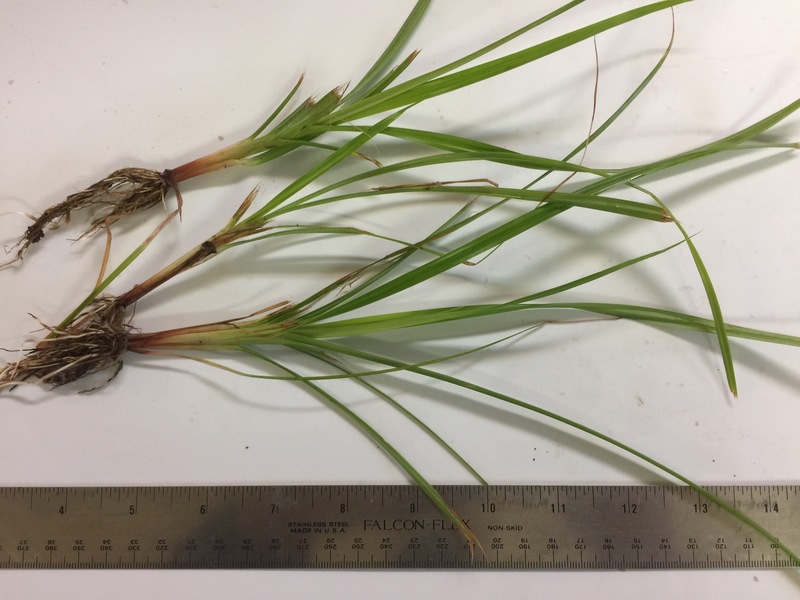 Wild garlic (Allium vineale) is more obvious in the winter and early spring because this weed will grow above the turfgrass canopy and is easily noticed. Sometimes it can be easily confused with wild onion and star-of-Bethlehem. Wild garlic is a perennial bulb that has a grass like appliance. It emerges in late winter and early spring. The leaves are straight and smooth. The way to tell the difference between wild garlic wild onion is by tearing the stem to see if it is hollow or solid. It if is hollow then it is wild garlic. If it is a solid stem then it could be wild onion. This weed tolerate a wide range of soil conditions but I have noticed it more in low maintenance areas. Control of wild garlic in cool-season turfgrass is more difficult then in warm-season turfgrasses. For fair control use 2,4-D or one of the many combinations of 2,4-D, MCPP and dicamba. This products have shown to have limited control. The ester formulations of 2,4-D are more effective than amine formulations. Applications in the late fall and early spring when there is adequate foliage is best. 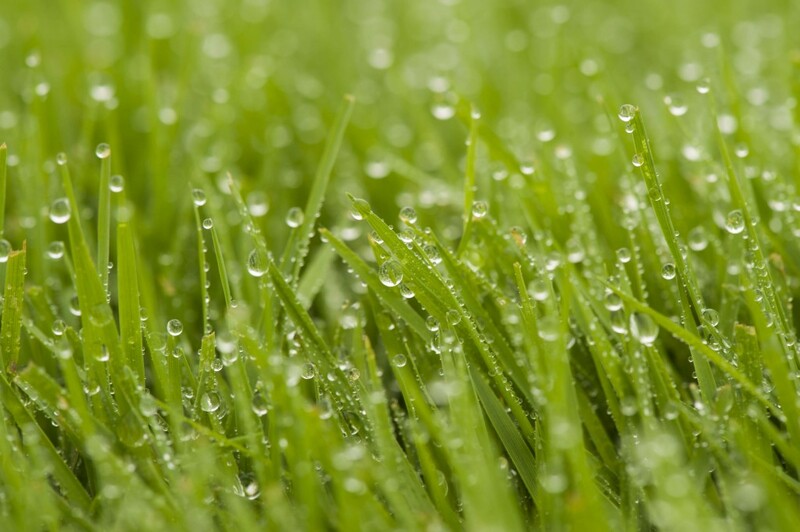 To increase uptake, mowing before application may help. In warm-season turfgrass metsulfuron or metsulfuron + sulfentrazone and sulfosulfuron provide very effective control. Applying these products in late March early April on a warm day above 50 deg F when there is good soil moisture will increase efficacy. If you got wild garlic, right now is the time to go out and get it. Not to mention if you have any other broadleaf weeds you will get some control of those as well! For the past couple years I have posted on prostrate knotweed (Polygonum aviculare) control in turfgrass systems. Guess what… it is that time of year again. I have been seeing knotweed germinate all across campus and in areas where turf is thin. 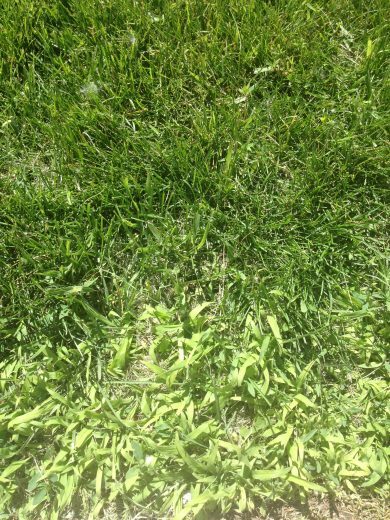 Knotweed can grow in compacted soils where turf can’t survive. 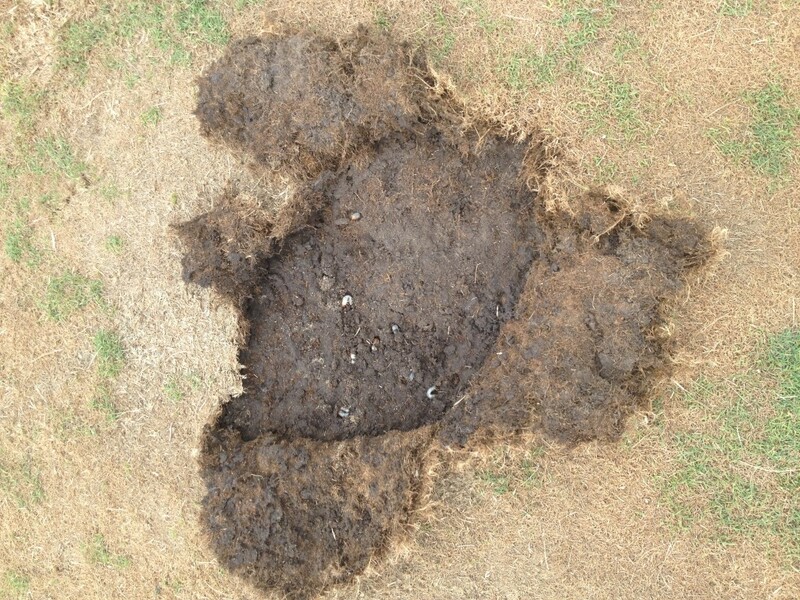 So after you get control of that knotweed make sure you aerify to relieve the compaction (Check out my recent post on aerification – http://blogs.k-state.edu/turf/new-aerating-your-lawn-ksre-publication/) and get some healthy turfgrass growing. There are going to be some new products coming to the market soon that we have tested on prostrate knotweed that have shown excellent control. So keep a lookout for new broadleaf herbicides (Hopefully they will be out either late this year or early next year). When they hit the market you will hear all about it and next year when I post about knotweed control hopefully they will be released and I can add it to the list! If you didn’t get your preemerge out in the fall for control and you have a history of knotweed it is time to go out and attack the knotweed and other broadleaf weeds you have lingering around. 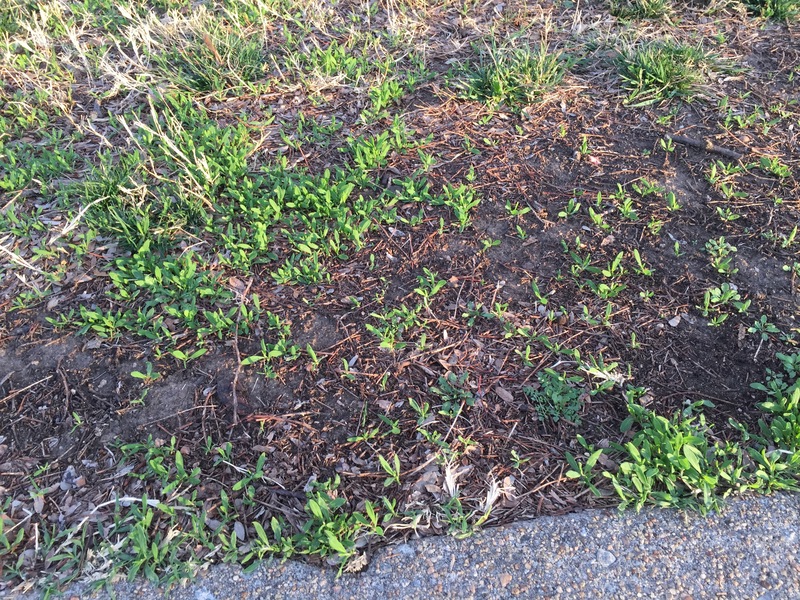 These weeds are easier to control now when they are young compared to when they get mature.